Lok Janshakti Party (LJP), a key constituent of the ruling NDA, Wednesday pressed for finalisation of the coalition's seat-sharing arrangement in Bihar by month-end while making it clear it will not agree for anything less than six Lok Sabha seats and one in Rajya Sabha. 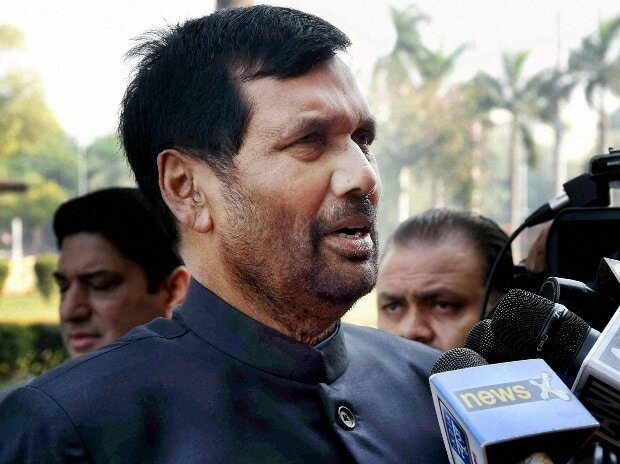 The assertion was made by LJP's state president Pashupati Kumar Paras, younger brother of the party chief and union minister Ram Vilas Paswan, a day after the party's parliamentary board chairman Chirag Paswan expressed dissatisfaction over no headway being made on the seat-sharing issue despite several meetings with the BJP leaders. Paras said the National Democratic Alliance (NDA) has "undoubtedly" weakened in Bihar with exit of partners like Jitan Ram Manjhi and Upendra Kushwaha. "Lack of clarity on the issue led to the RLSP's exit. A final decision on sharing of seats among the remaining allies must be arrived at by December 31," said Paras, who is also a member of the Nitish Kumar cabinet in the state. He said Chirag Paswan's tweets reflected the party's sentiments and the seat-sharing formula must be timely and respectable. In a series of tweets, Chirag Paswan had on Tuesday cautioned the BJP against damage to the NDA in the event of the BJP's failure to arrive at a seat-sharing formula that was respectable for other allies. Reacting to the developments, RLSP's Upendra Kushwaha said the LJP should follow his example and leave the NDA. He alleged the BJP and Nitish Kumar in their arrogance were hell bent upon destroying the smaller parties. The LJP's stance has to be viewed in this light, he said. RJD national vice-president Shivanand Tiwary squarely blamed Nitish Kumar for the present crisis in the NDA, saying he is like a "Brahmin" who has to be appeased at the cost of others. He said it would not come as a surprise if the LJP becomes the next casualty in the NDA.